Pergolas have become quite the DIY projects for homes across the US, and why shouldn’t they? 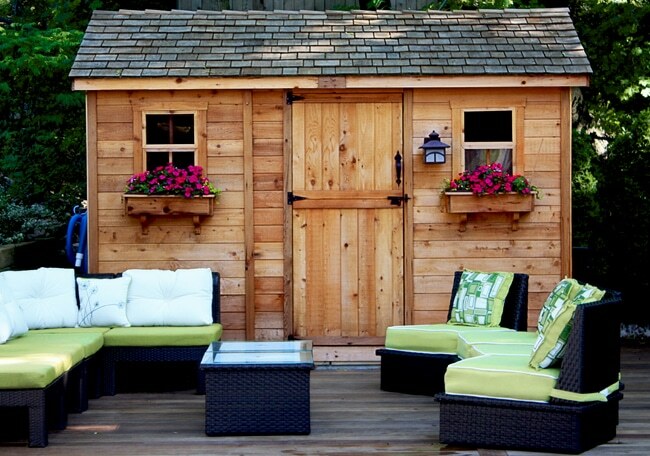 They create an ambient space to relax in and spend more time outside, while adding value to your home. Not only are they an attractive garden feature, you don’t have to pay through your nose to be a proud owner of a pergola. You can easily get a DIY pergola kit that comes with illustrated instructions, pre-cut panels, and the necessary hardware to fix the panels together. Here are some things you have to consider before you rush off about your garden building one. One of the initial things you have to think about is what will you use your pergola for? This will give you a clearer picture as to the kind of space you require, the amount of shade you might receive, access to it and how private you want it to be. A pergola may be used to highlight a walkway, give shade to fernery or act as an extended outdoor living space to have barbeques or entertain guests. When choosing the best Pergola design for your garden the size and shape of your pergola entirely depend on the space you have at hand. Some prefer to have it attached to their homes, while others prefer a freestanding structure. Whichever structure you choose, keep in mind that it should also be compatible with the size and architecture of your home to give it a more authentic and aesthetic look and feel. While a basic pergola in itself is enough to add flair to your garden or backyard, an additional design or two with a splash of color helps give it a more aesthetic feel. There is an array of shapes to choose from – hexagonal, circular, square, and rectangular. The square and rectangular shapes are more common in homes. In the case of an attached pergola, be mindful of using a circular shape, as it will not fix properly. It is best to go with a semicircle, since it attaches perfectly to your home. We live in interesting times, times where you can enter the store and purchase a do-it-yourself kit to build your own pergola with a specified design. Today, DIY kits offer a range of shapes and designs, so you are never restricted. Wood: This is the most conventional and common material used to build a pergola. Since wood is available in a wide variety, individual choices differ, and help in creating a fresher design. Hardwoods are costly, but more durable and add an appeal to older homes. Softwood, on the other hand, is cheaper and comes treated. It can be made use of in building posts and beams. Wood stains can be used with softwood to give it a rich texture. Just remember the wood has to be planed if you intend using wood stain. No worries, most wood comes so you can stain it quite easily. You may want to stain the wood before assembly or before you begin forming the pergola. This way you will know you stained all the spots and there will be no hard to reach areas if you do it this way. Timber can give the pergola a more organic or rustic feel, but it does require adequate maintenance to protect the wood from fungi, moisture and/or termites. So use a good wood coating and wood preservatives. Oil-based preservatives are ideal for wood, being used outdoors. In case of rot, you need a remedial treatment of wood. Alternatively, you can opt for Western Red Cedar that is naturally resistant to pests and moisture. Steel: Unlike wood, steel does not decay. Using chemically treated steel will also prevent oxidation of the material that results in rusting. You can install steel quicker than wood and it also is more convenient to install, as it has lower volume and needs less support. Steel is, hence, a more contemporary choice. Aluminum: This alloy is lightweight and easy to maintain. It is the perfect choice of material for pergolas if you live near the sea because humidity and salty air can give way to corrosion. For extra protection and color options you can choose to go for a powder-coated aluminum. You can press the button to put a roof over your pergola to get protection from the sun and rain. If you’re looking to completely block off the sun, wind, and rain, you can point your finger towards a steel or thatched roof. This is also more viable if you particularly live in a storm- or rain-prone part of the country. If you want partial protection and a little bit of sunshine coming in, transparent panels or sails are just the thing for you. You can also choose to hang vines, as they’re lightweight and attractive. A few majestic options are honeysuckle, trumpet vine, wisteria, and clematis. Installing lighting in your pergola allows you to enjoy your outdoor living space after sunset. It could be a sensational way to spend time with family and friends when it is dark. Make sure you get a licensed electrician to install the lighting. Pergolas are turning into more of a trend and will continue to do so. And, if you are the kind of person who loves being outdoors – reading a book or having a barbecue – amidst nature, a pergola just may be what you’re missing in your garden.